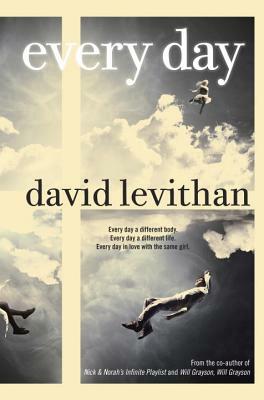 Every Day by David Levithan. Grades 7 and up. Knopf, August 2012. 304 pages. Reviewed from egalley provided by NetGalley. I'll give anything by David Levithan a go and I'm happy to say that Every Day did not disappoint. It's not only that the premise is intriguing: As much as you might think you love the person inside the body, could you really love someone who came in a different package every day? How much does gender, race, and orientation (or lack thereof) matter in who a person is? To what lengths might a person go to keep someone they love in their life? And is that even fair... to anyone? It's not only that the premise is intriguing, it's that in Levithan's hands the words make you question everything that you think you know about love and identity at the same time that you're nodding along with the inescapable truths he's captured on the page. A is an unusual protagonist to get to know. On the one hand, he's lots of characters and that's fun to see the very different bodies he wakes up in each morning. Mean girls, jocks, drug addicts... On the other hand, A (genderless, but I'm going to use he) himself is wise beyond his years. After 16 years of seeing the world through different eyes each day (over 6000 different bodies by the end, never repeating one), he's got insights that a typical 16-year-old wouldn't have. A lives very much in the moment (the present-tense narration is definitely warranted), but he also very much transcends each day. It's a little bit of a genre-bender: it's definitely a sci-fi concept, but the day to day really is more contemporary fiction. It's about a first love that has... some unusual obstacles. And it's definitely a book that shouldn't be missed. I'd try this one on fans of David Levithan, John Green, and Cecil Castellucci. Every Day will be on shelves August 28.